Barstow Community College has been providing education to our service members and Veterans for 40 years in the High Desert. Barstow offers both online and residence classes at the National Training Center/Fort Irwin, CA. This year Barstow Community College was honored by Military Advance Education as one of the top schools “Best for Veterans”. 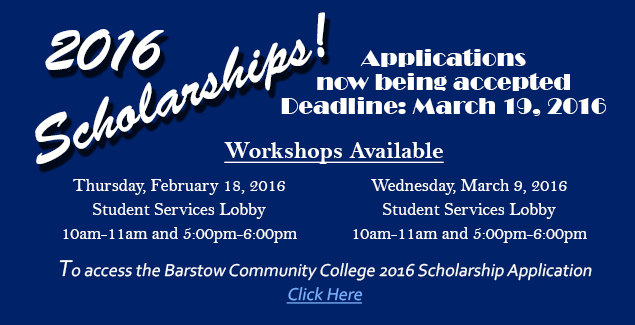 In addition, Barstow Community College was selected by Victory Media as “Military Friendly” school for 2016. 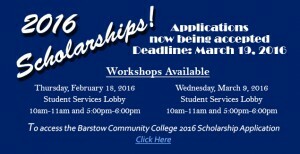 Go to www.barstow.edu and find a program that best meets your needs. We are committed to educating our nation’s active duty service members and Veterans. www.Barstow.edu (760) 252-2411 Meet Jerry Peters, US Naval Veteran and Director of Barstow Community College who is passionate about Educating Our Veterans and Educating Our Voters and dedicates his life to promoting higher education and community service. Jerry Peters serves as a board member with California ACME and gained his degree from Webster University using his benefits earned from service on the Naval Ship “Never Sail” and is a proud American Veteran. Jerry is also committed to enlightening the world about topics and campaign initiatives our world should understand and hosted a radio show of his own for over ten years in Arkansas. Jerry is a voice for others and enjoys discussing and making a platform to voice opinions and concerns about prevalent issues we are facing so we an join together to understand the power of our vote. Through education, we can have a voice in order to bring resiliency and hope to inner city youth, to society empowering them to know their Vote Counts. In April 2016, stay tuned for a new CRS Productions series with hosts Christina Silva (Moderator) and Jerry Peters, Political Science major Educating Our Voters.